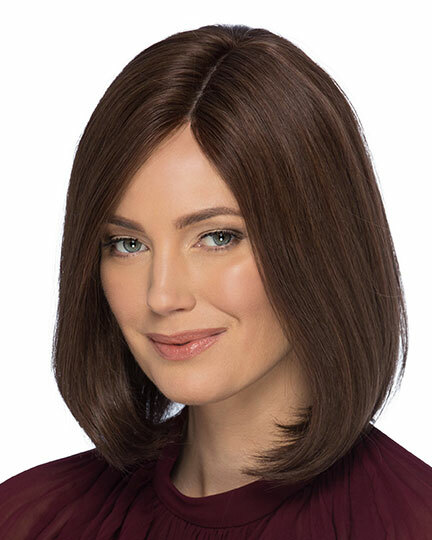 Front: 7.5", Crown: 6.5", Nape: 6.0"
Josie by Amore is a mono top HAIR PIECE with a smooth softly layered sophisticated look with a sweep of long fringe bangs. 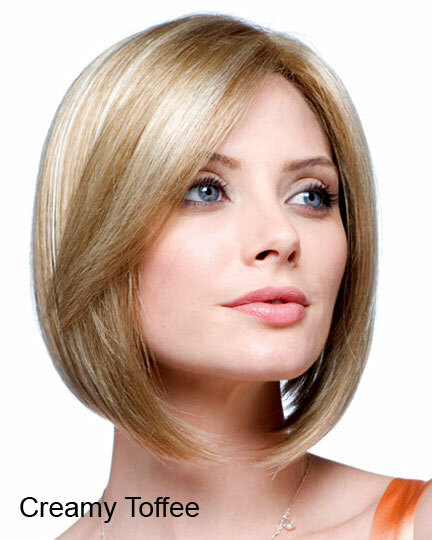 This is NOT a complete wig. 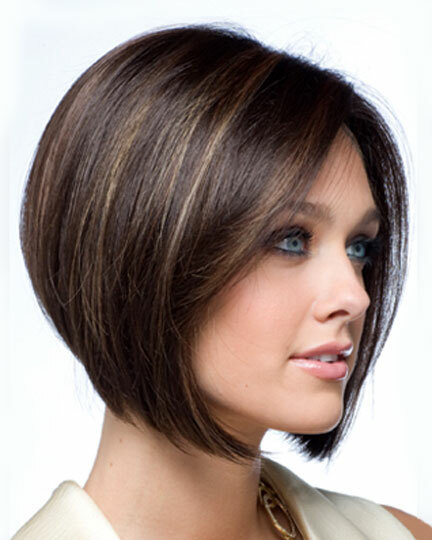 This Amore top piece can change your short hair look or update your bob with its angled soft sleek layers. 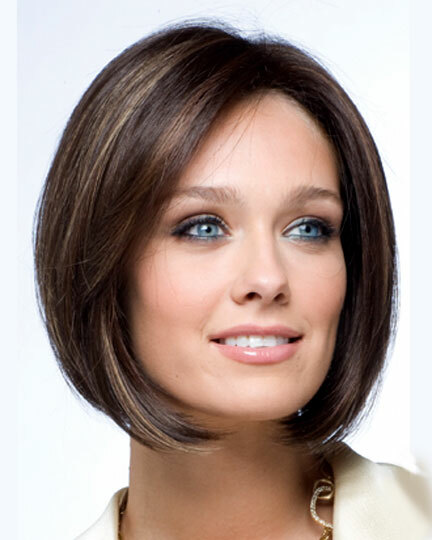 We suggest you get an Amore color ring to better match you own hair with this HAIR PIECE. If you don't understand what a top hair piece is: A top piece covers a specific area on the top of your head, and then it's blended on the sides and back with your own hair. 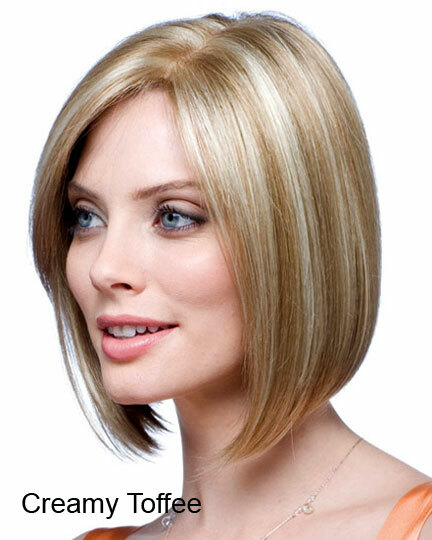 Amore Josie hair pieces feature a monofilament top base that offers maximum styling versatility and realism. There are 5 colors available for Josie. If you would like to discover other products that share some of Josie, 754's qualities try the links below.